The Mini Mug from the Delfts Blond series is made of pottery. 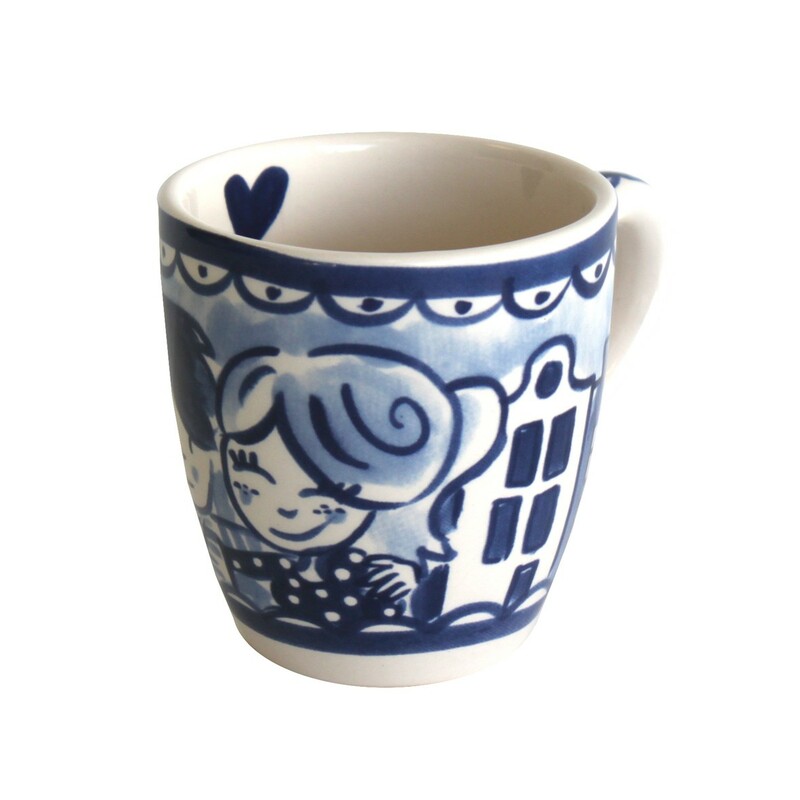 The mugs depict a blue image of a couple kissing or hugging. The background depicts typically Dutch images, such as canal houses. As a fun detail, the inside of this Delfts Blond mug has a painted Blond Amsterdam recognition label in the shape of a small, blue heart. Sold in sets of 4. 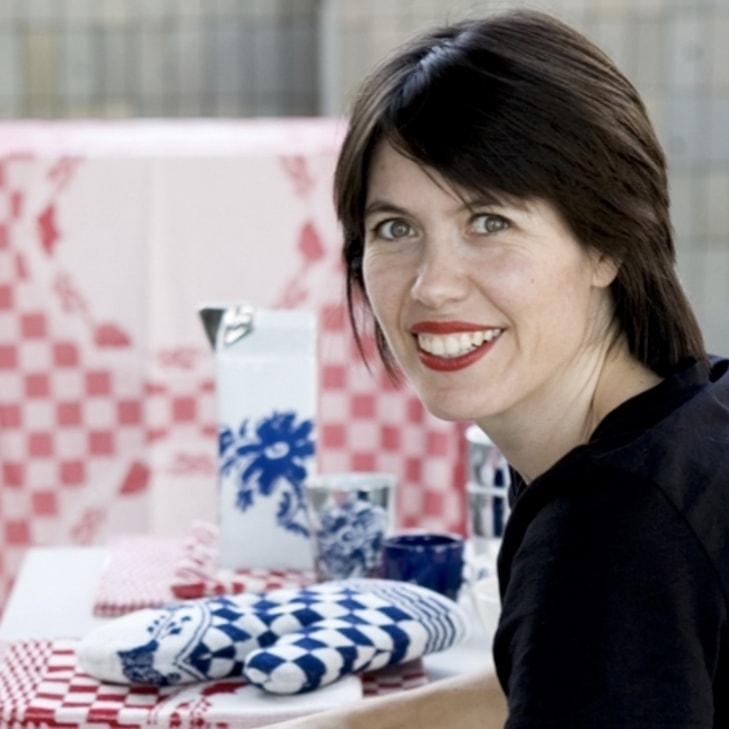 The mini mug from the Delfts Blond series by Blond Amsterdam is made of pottery. They depict a kissing or hugging couple against the backdrop of canal houses: a typical Dutch image. 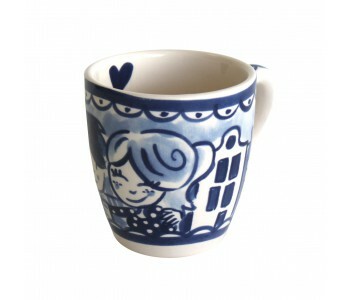 The mug is sold in sets of 4, all depicting the same image. The mugs are 11 cm long, 8 cm high, and 8.5 cm wide These mugs can be placed under a coffee machine such as the Senseo. 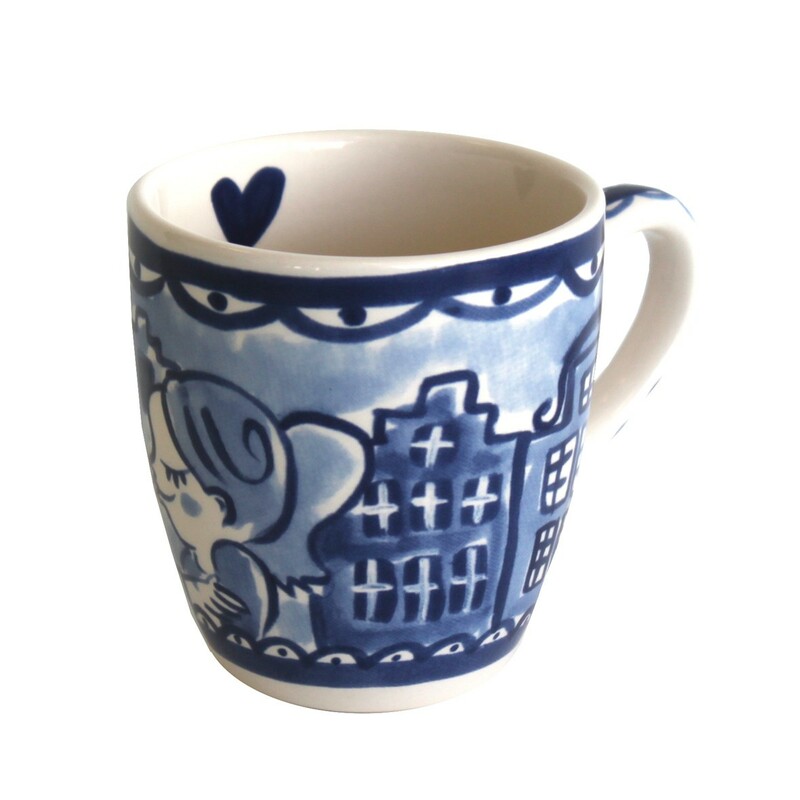 As a fun detail, the inside of this Delfts Blond mug has a painted Blond Amsterdam recognition label in the shape of a small, blue heart.